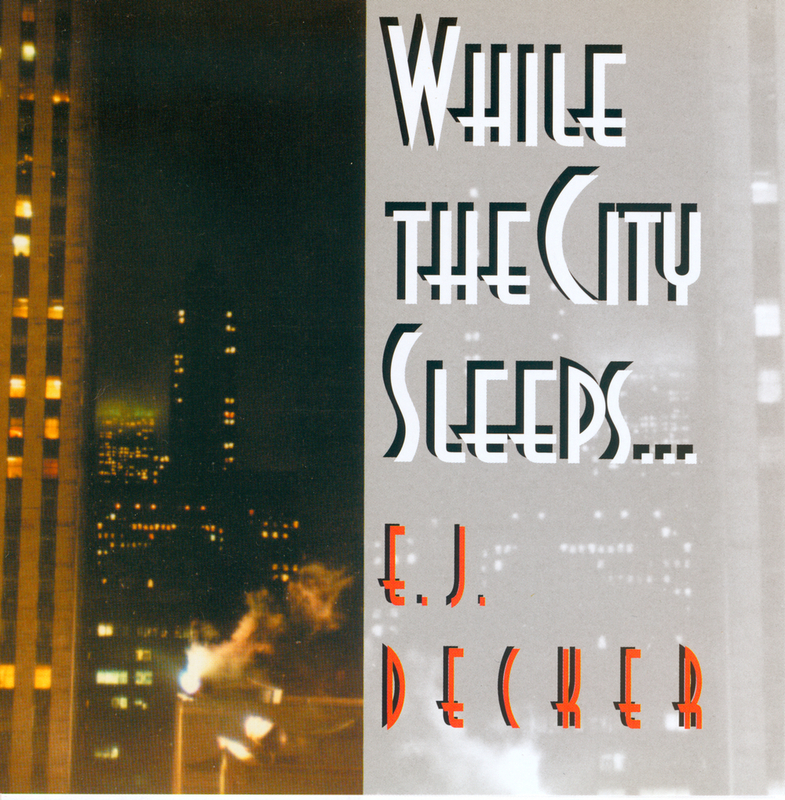 E. J. Decker's debut album, While the City Sleeps... (Candela Records), offers 11 jazz standards, re-arranged by Decker, plus his lush original ballad, "(We're) Strangers Now." This nocturnal album celebrates The Night... as only its denizens experience it: "where the tail lights of cabs glow magically on rain-slicked streets ... as people move expectantly towards the excitement of the next block, the next doorway ... where love is won, lost, won through countless repetition ... where people become the person they imagine themselves to be ... where the darkness hides the loss and the need ... where all is possibility, where there are always the blues—and where there is always a tomorrow night..."
Full streams of the songs from While the City Sleeps... on Candela Records are below. We hope you enjoy them. If you would like to support new work and purchase While the City Sleeps…, or E. J. 's recent A Job of Work (Tales of the Great Recession), visit E. J. 's page on CD Baby by clicking here. Edwin H. Morris & Co., a Div. of MPL Communications, Inc.
Alley Music Corp. / Trio Music Corp. / Iza Music Corp.
Gorney Music / Next Decade Inc.
See reviews of While the City Sleeps...! Purchase your copy of While the City Sleeps... today! Buy CDs (the best-sounding option) -- exclusively at CD Baby! Buy album/track mp3 downloads, at iTunes! Buy album/track mp3 downloads, at Amazon! Please leave an album review wherever you buy While the City Sleeps..., that helps us a lot! Thanks!